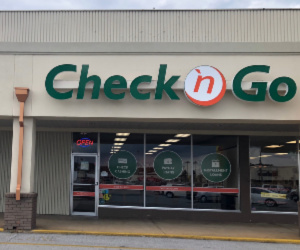 Check `n Go Sixth Ave.
About Check `n Go Sixth Ave.
"When you can’t avoid car repairs any longer, look to Check `n Go Decatur for help to get you back on the road. It’s quick and easy to get the money you need to keep you going until your next payday. * Stop by our Decatur store, located in the next to H&R Block. Our friendly associates can help you find the right financial solution for you. Our Decatur store offers a variety of services including payday loans, cash advances, installment loans and check cashing. Check `n Go payday loans range from $50 to $5000 in AL. With a valid ID, proof of income, an active checking account and a working phone, Check `n Go can help you get the money you need. We look forward to seeing you soon. " Recent Reviews about Check `n Go Sixth Ave.